1. 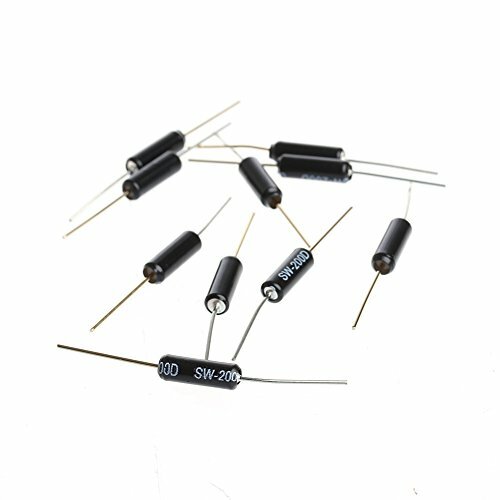 The use of metal material, electrical characteristic is similar to mercury switch but no risk of mercury switch and the environmental protection question, and has the same characteristics of single wizard in shaking, assembly using more convenient security. 2. work features: golden end for (ON) conduction trigger side, silver side to open terminal (OFF), when the shaking force to achieve the appropriate set Angle below level sloshing force or golden end electric property right Angle for the electricity connecting foot conduction will produce a short time or continuous conduction (ON) status, and when the electric property to restore to a za state (OFF), the switch to set up the environment must be stationary, and the silver side setting Angle should be below the level of 10 degrees. 3. when the switch is set to level, can easily trigger when shaking, when silver end set down, shaking it extremely easy to trigger. 5. as heat shrink tube packaging, appearance can be dustproof moistureproof. 6. SW-200-D double bead switch have longer lead time.